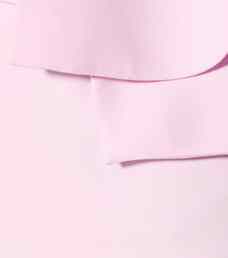 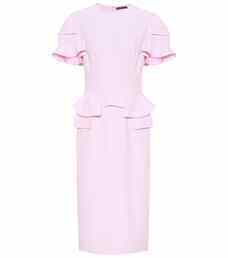 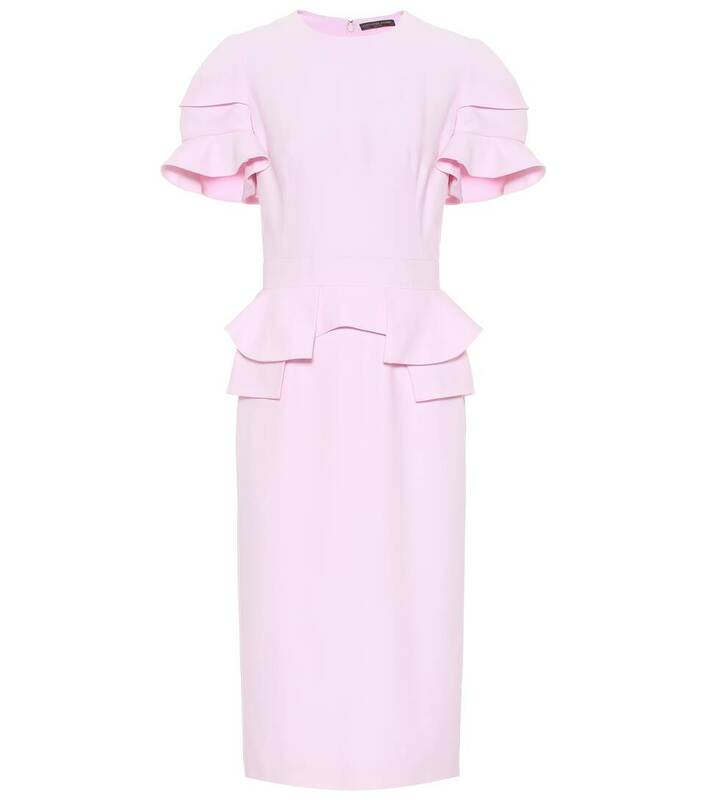 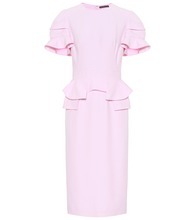 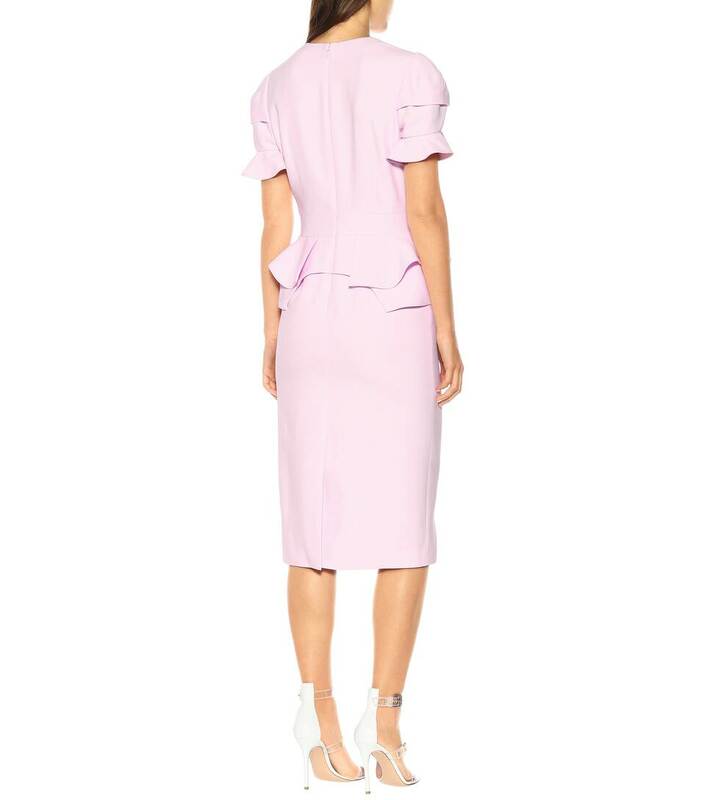 Alexander McQueen offers sartorial sweetness with this pale pink midi dress from its Spring/Summer '19 collection. 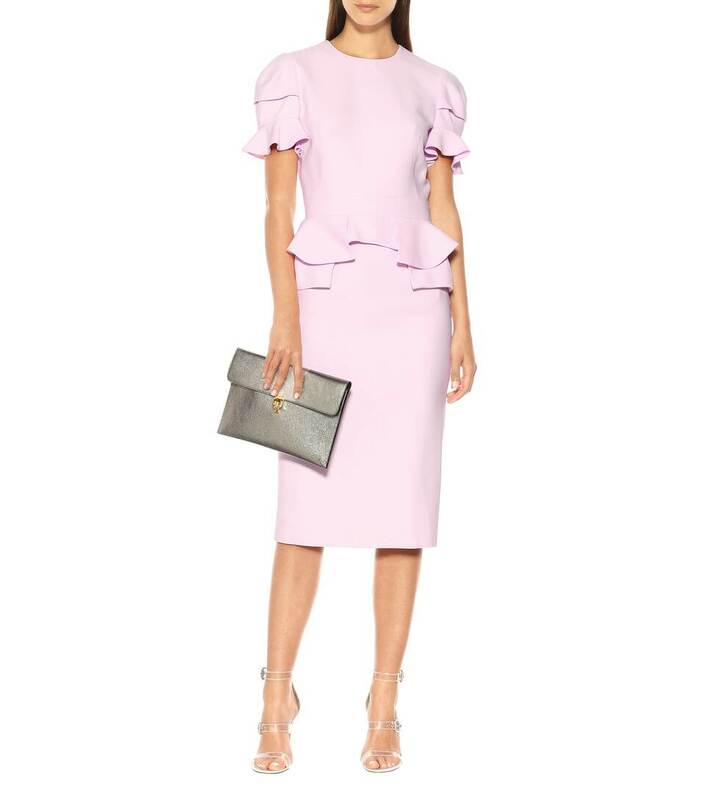 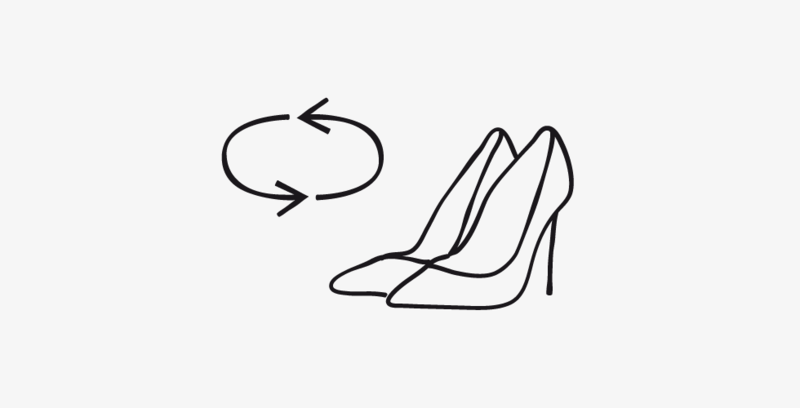 The midi silhouette has been crafted in Italy from softly structured crêpe with a tailored fit and charming ruffle detailing. 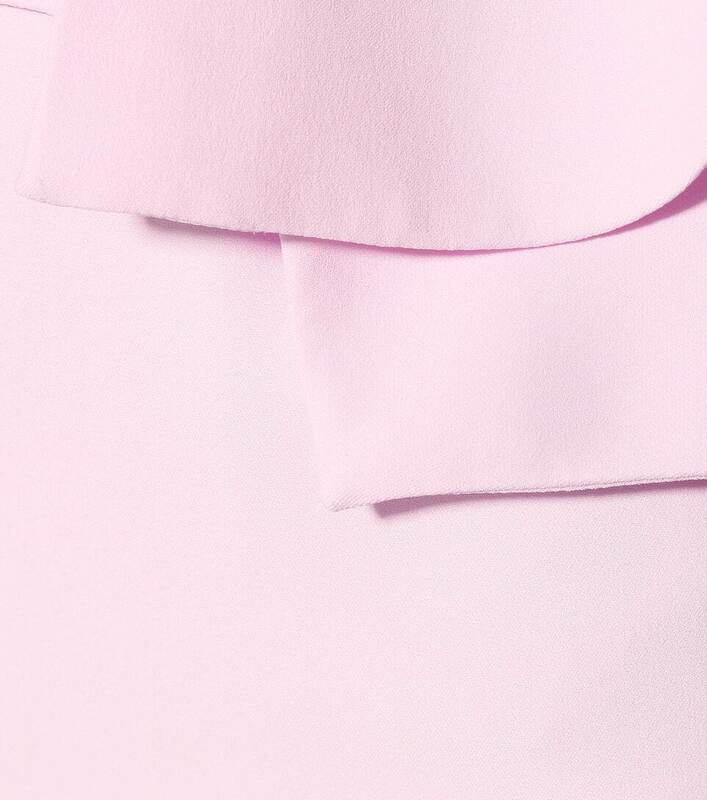 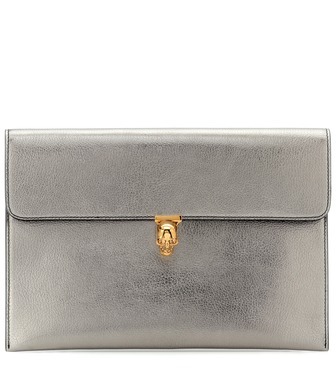 Complete your look with pastel-hued accessories to capture the mood of the moment.